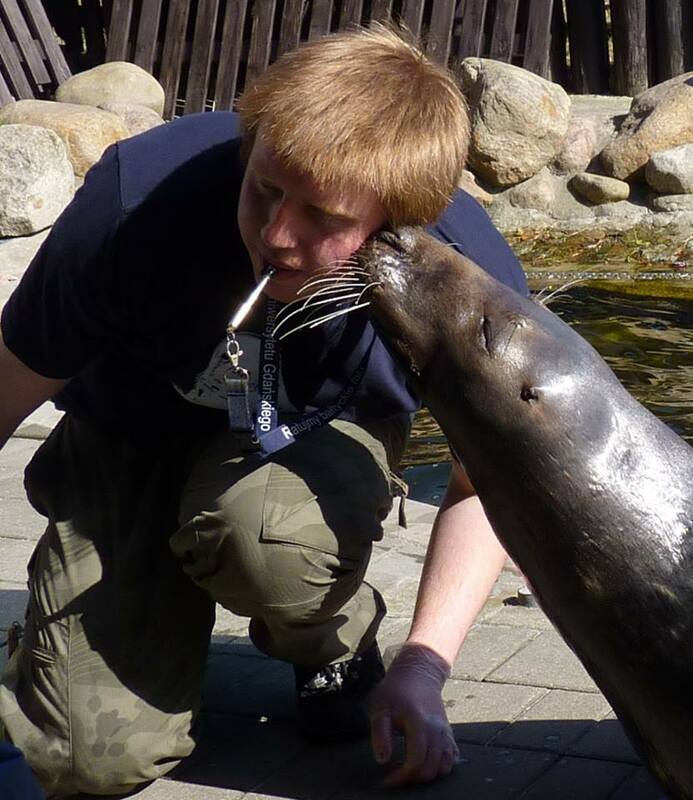 Animal Training in Zoos – with Mikolaj Zybala from Poland (Episode 4). This is the first of a number of episodes where we are going to put the spotlight on Animal Trainers from around the world. This Episode focuses mainly on Animal Training in Zoos as I talk to Mikolaj Zybala from Poland. You can learn more about Mikolaj in the text at the bottom of this page. Over time I’m going to be inviting trainers on the show from various countries. These trainers are members of animal training academy and work with training animals in their respective countries. The idea behind the series is to give you the listener a window into the world of animal training in various locations. My feeling is that in New Zealand, Australia, Canada and the US, countries where I’ve worked anyway, we’re all kind of heavily influenced by the big players in the industry which is generally speaking a good thing and were all very exposed to positive reinforcement and high animal welfare. However there are countries where this exposure might be relatively new and the uptake is consequently not as far along. So we’re going to be talking to practitioners of positive reinforcement in lots of different countries and trying to get a little bit of a window into their world and maybe some of the challenges they have faced as well as the triumphs they have achieved. I also want to use this podcast to really help us feel like we’re part of a global community of positive reinforcement practitioners and help connect people from different regions, even if that connection simply means listening to this podcast. Also I want to use these podcasts to get people thinking about things they haven’t thought about before and to reflect on the differences that exist for us and our animals around the world. Enjoy this podcast about animal training in zoos. 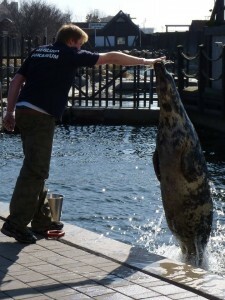 Mikolaj Zybala Msc, marine biologist, animal trainer, educator. Specializes in marine mammals’ biology, ethology and husbandry with particular focus on phocid seals. Passionate marine mammal keeper & trainer and advocate for using positive reinforcement methods in animal care. Attendee to multiple seminars and workshops on animal husbandry, a 2012 DUML & Oak Foundation Global Fellow. 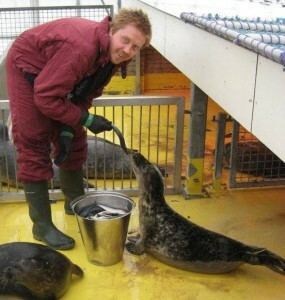 Professionally, marine mammal keeper & trainer since 2006, in academic and private facilities and in zoos. Experienced in rehabilitation and in monitoring of wild population of phocid seals. Keen to promote improving animals’ life under human care through positive reinforcement animal training in zoos and in private homes. Eager and devoted to ignite passion and fascination towards the marvel of marine ecosystems in everyone. Privately, loves swimming and looking up to the stars. Thanks for listening to this podcast about animal training in zoos. If you like this podcast please leave a comment below. In fact if you didn’t like it I would still love to hear from you, leave a comment below. Good luck with all your training endeavors whether your doing animal training in zoos or something else, I look forward to seeing you all again soon. I really liked/loved the prodcast. I have meet Mikolaj zybala last year on a workshop,so its Great to hear how he is doing. And its true,try to learn as much and go back to basic with your animaltraining academy. Thank You so much for sharing and Im looking forward to read more about it. Hi! I enjoyed this podcast. I never would have thought how some people would consider positive reinforcement training a job! I have never trained up to six animals at one time but I can definitely understand how that would be boring for them. I have a hard enough time trying to train my two because they both want to do the training and don’t want to wait. Thanks for these podcasts! Have you tried station training with your current situation, I think it could be beneficial?